Sept. 13 volleyball and soccer recaps. ULYSSES, Pa. – Behind the play of Kierra Keck and Kayla Pesock, visiting Port Allegany topped Northern Potter, 3-0 (25-22, 25-19, 25-11). Keck had six kills, three blocks and five digs for the Lady Gators with Pesock adding seven kills. 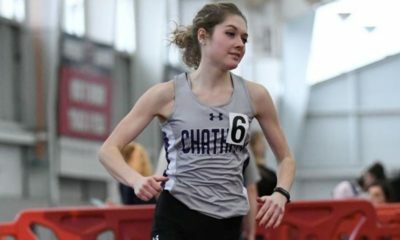 Jenna Sprankle ran the offense with 11 assists and also served well. Savannah Herring paced Northern Potter with four kills and three blocks. Courtney Martin added four kills, five digs and an ace and Mirissa Bliss had nine digs and eight assists. 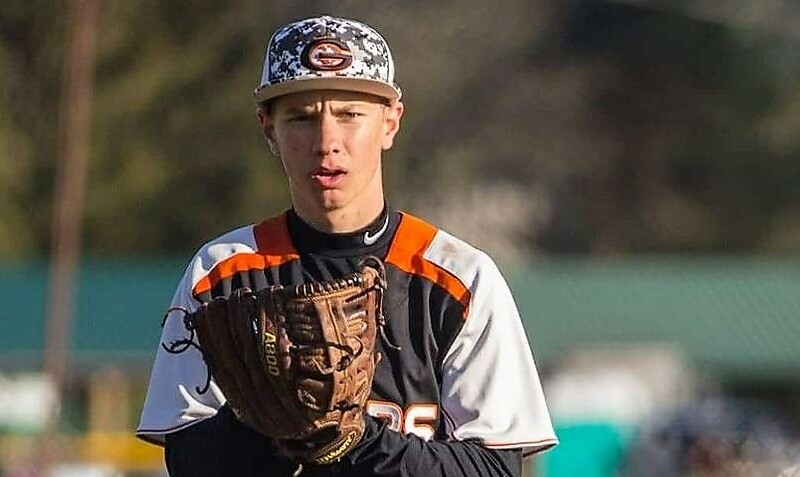 DUKE CENTER, Pa. – Otto-Eldred rallied from two sets down to knock off visiting Coudersport, 3-2 (16-25, 23-25, 25-23, 25-23, 15-13), in a match that saw all sets but the first one decided by a mere two points. The third set was the turning point for the Lady Terrors, as they trailed 20-10 but rallied behind the serving of Harley VanScoter, who helped them roll off nine straight points to get back into the set. VanScoter led O-E with 17 kills, 25 digs, four blocks and seven aces with Veronica Benin adding nine kills and two aces, Haylee Frederick eight kills, 12 digs and an ace and Reilly Raught seven kills and four blocks. Shaelyn Black led Coudersport with a triple-double of 14 kills, 26 digs and 10 aces. Mikayla Gunn added five kills, 12 digs and five aces. SHEFFIELD, Pa. – Behind seven kills, six aces and three blocks from Ella Marconi, visiting Kane topped Sheffield, 3-0 (25-6, 25-10, 25-18). Kalen Johnson added four kills, Audri Marconi four kills, two aces and a block and Hannah Buhl 15 assists and three aces for the Lady Wolves. Emily Leichtenberger paced Sheffield with six kills with Megan Johnson adding 13 assists. 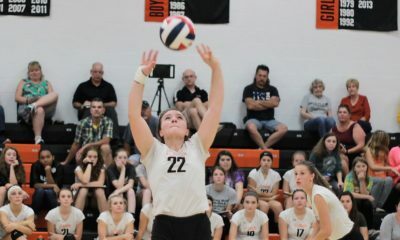 GALETON, Pa. – Galeton used a balanced offensive attack to beat visiting Oswayo Valley, 3-0 (25-11, 25-18, 25-14). Erin Cimino, Marika Lechler and Emily Quinn each had three kills for the Lady Tigers with Lechler adding four digs and Quinn two aces. Makenna Shuemaker chipped in six assists, three aces and a kill, Brielle Kalacinski had nine digs, two aces, a kill and an assist, Kate Kulish added three assists, two aces and a dig, Katie Pagano had nine digs, Reagan Filler four digs and Cara Parsell two digs and two aces. 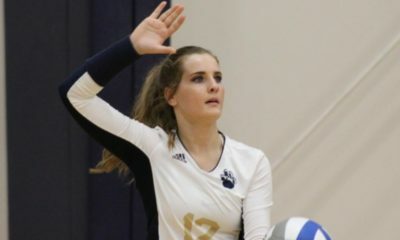 FOXBURG, Pa. – Emily Wetzel recorded 35 set assists to go with three kills, eight digs and an ace to lead A-C Valley to a 3-0 (25-20, 25-9, 25-7) win over visiting Karns City. Kylee Eaton (11 kills, 16 digs) had a double-double for the Lady Falcons with Olivia Boocks adding 10 kills, eight digs and six aces. Kaylie Merwin chipped in with 14 set assists, four digs and a kills, and Andrea Meals added 13 digs. Emily Huff paced Karns City with four kills with Emily Wolfe adding three kills and 16 digs, Kaley Byerly 17 digs and Mackenzie Dunn 20 digs. 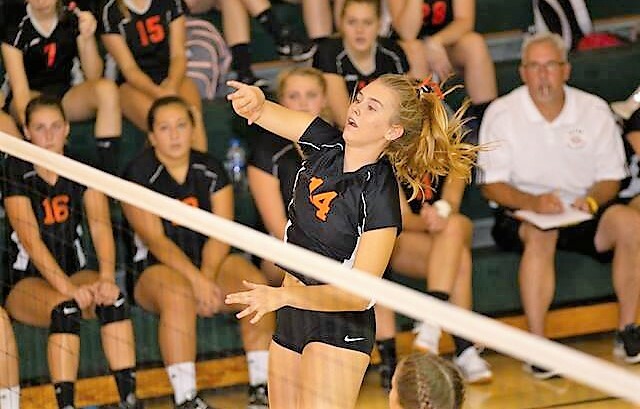 AUSTIN, Pa. – Behind nine kills from Hailey Hilfiger visiting Cameron County topped Austin, 3-0 (25-10, 25-17, 25-13). Morgan Lorenzo (seven aces), Alyvia McKimm (eight assists) and Kaitlyn Burgett (six digs) also played key roles for the Lady Raiders. Angeline Watson had three kills, 10 digs and five aces for Austin with Taylor Brewer adding two kills, three blocks and two aces. KNOX, Pa. – An all-around strong match from Emily Lauer helped Keystone topple visiting Forest Area, 3-0 (25-8, 25-15, 25-5). Lauer had five kills, four assists, three digs, three aces and a block for the Lady Panthers and got help from McKenzie Hovis (seven aces, three digs, three kills) and Alyssa Dunlap (four aces and four kills). Shawna Carbaugh had three digs and two aces for Forest Area with Deseray Fox and Angelina Harp each adding a kill and a dig and Lauren McLaughlin three digs. FRILLS CORNERS, Pa. – Maddie Schill, Dorothy Kalinowski and Kait Constantino each recorded six kills to lead Clarion to a 3-0 (25-10, 25-9, 25-3) win at North Clarion. Schill added four digs for the Lady Cats with Brenna Campbell recording 21 set assists. Korrin Burns and Hailey Sintobin each added three kills. Megan Baumcratz had two kills, three blocks and four digs for North Clarion with Kiara Stitt adding six digs. NEW BETHLEHEM, Pa. – Josie Rupp’s 15 kills helped Redbank Valley down visiting Brookville, 3-0 (25-19, 25-9, 28-26). Jordan Milliron added seven kills and three aces, Torrilynn Nelson had seven kills, Taylor King four kills and Montana Hetrick three aces for the Lady Bulldogs. RIMERSBURG, Pa. – A strong defensive effort from Marli Hawk helped Union beat visiting Clarion-Limestone, 3-0 (25-10, 25-21, 25-16). Hawk had 23 digs for the Golden Damsels, while Bryn Davis led the offense with nine kills and five aces. Dominika Logue added nine kills and three aces and Morgan Cumberland had 16 set assists. Rachel Greeley had four kills and seven blocks for C-L with Sadie Majle adding four digs, Emma Smith two digs, two blocks and two kills and Keara Henry eight assists. OIL CITY, Pa. – Malliah Schreck, Abby Hanna and Ava Ferringer combined for 18 kills to lead visiting Cranberry to a 3-0 (24-5, 25-10, 25-6) win over Venango Catholic. Schreck led the Berries with seven kills, Hanna added six and Ferringer five. Schreck also had four digs. Emily Duncan ran the offense with 22 set assists and chipped in four digs and three kills, while Ally Young had five digs and six aces and Jillian Plummer five digs. ST. MARYS, Pa. – Thanks to 15 kills from Taylor Newton Elk County Catholic topped visiting Brockway, 3-0 (25-9, 25-20, 25-7). Madyson Dellaquila chipped in five kills for the Lady Crusaders with Ellie Fledderman running the offense with 26 set assists. For Brockway, Abby Alford led the way with three kills and five digs. PUNXSUTAWNEY, Pa. – Punxsutawney picked up a 3-0 (26-24, 25-19, 25-14) win over visiting Curwensville. Elizabeth Mathews had four kills and two digs for Curwensville with Raylee Sunderlin leading the way with five kills and Emma Caldwell chipping in 11 assists. BRADFORD, Pa. – Bradford topped visiting Johnsonburg, 3-1 (25-21, 25-22, 23-25, 25-15). Ashton Himes and Alexis Huber paced Bradford with nine kills each with Erica Marshall adding 23 digs and Britany Rounsville 19 digs. Jenna Morgan led Johnsonburg with 15 kills. JOHNSONBURG, Pa. – Jonathan Barroqueiro scored twice to help visiting Coudersport to a 4-1 win over Ridgway in Johnsonburg. Barroqueiro scored bookend goals for the Falcons including the fourth tally on a second-half penalty kick. Coudersport led 3-1 at halftime with Kameron Lepold and Owen Chambers also scoring for the Falcons – Dominick Stage had the goal for Ridgway. 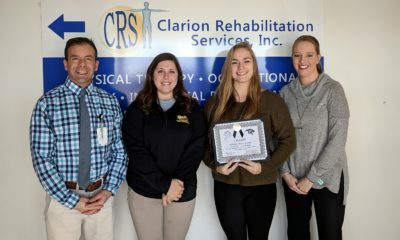 CLARION, Pa. – Lindsey Kemmer and Wendy Beveridge helped lead Clarion to their its win this season, 2-1 over visiting Keystone. Kemmer netted the first goal at the 30:46 mark in the first half, and then Beveridge scored off an Emily Grabiak assist late in the second half to make it 2-0. Kemmer talked about her goal. Paige Cotton scored the lone goal for Keystone to cut the lead to 2-1, but the Lady Panthers weren’t able to get the equalizer. Sophomore Hannah Hazlett got her first career win in net in her first-ever varsity start for Clarion. PHILIPSBURG, Pa. – Alayna Ryan’s second-half hat trick helped Clearfield pull away for a 7-1 win at Philipsburg-Osceola. The Lady Bison led 2-0 at halftime and 3-1 after the teams traded goals 22 seconds apart early in the second half with Ryan’s goal giving Clearfield a 3-0 lead before Madison Lucas cut it to 3-1 for P-O. But Ryan scored twice in an 18-minute span with an Amanda Hazel goal sandwiched in between to put Clearfield up 6-1, and then Emma Hipps added her second goal of the game late to set the final score. Lydia Brown gave Clearfield a 1-0 lead late in the first half off a Hipps feed, and then Hipps took a feed from Ryan and made it 2-0 with just over two minutes to play before halftime. Hazel then added a helper on Ryan’s first goal, and Hipps assisted on the second and third goals for Ryan. Alyssa McCracken had the helper on Hazel’s goal, and Hazel had the assist on Hipps’ second tally. Clearfield outshot P-O 21-4 with Hayley Moore making three saves for the win. Jocelyn Hutton made 14 saves for the Lady Mounties. ST. MARYS, Pa. – Madeline Cowan’s overtime goal in the mud lifted Ridgway to a 2-1 win over Elk County Catholic in the opening round of the Bucktail Tournament. Gina Gerg also scored for the Lady Elkers. Michelle Gerber had the goal for ECC. Ridgway will play St. Marys, a 10-1 winner over Curwensville, in Friday’s title game with ECC taking on Curwensville in the consolation.